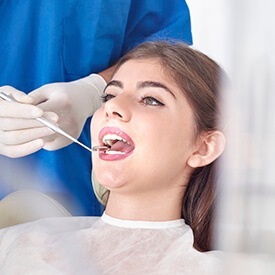 Our experienced general dentists may recommend extraction for an irreparably damaged tooth or oral surgery to prepare your mouth for restorative treatment. For your comfort, we offer a variety of gentle, effective anesthesia methods, including oral sedation. If your case requires specialized care, we can recommend a local dentist with advanced training in a particular area of study. Don’t suffer with tooth or mouth pain. Call our Forth Worth office today to schedule your appointment with Dr. Cheng, Dr. Thorburn and Dr. Tijerina. We provide safe, gentle dental care to residents of Burleson, Crowley, Aledo, and surrounding areas.